In my last blog post, I wrote about how my vision for math teaching and learning connected to my homework assignments. Communicating this vision clearly to families in many different ways is essential for a successful home-school partnership. As a school-based coach, I facilitated monthly family workshops to provide a quick overview of the big ideas in the upcoming math units. At these meetings, we always did some math together focusing on reasoning strategies and communication. Over and over, I heard the same big concerns about homework that I tried to address in newsletters, meetings or individually. Will my child be penalized if homework is not done completely or correctly. Should I fix the mistakes he/she makes? What should I do if my child is stuck? There are so many strategies. Which one is my child expected to use? Is the standard algorithm acceptable? I know how to do that. Why can’t we use it? The most important step was articulating these expectations in writing. It forced me to be clear and concise. In a letter to second grade families, Debbie (fellow coach) and I drafted this piece about addition and subtraction strategies. We provided example of the strategies but more importantly, we tried to communicate clearly about our pedagogy. Our goal is for students to develop flexibility-approaching computation (addition and subtraction in this instance) in multiple ways. We want students to understand that there is more than one way to make sense of a problem and come to a solution. You should not worry about having to teach your child these strategies. Students make sense of different ideas at different times. No student should be told that they must use a particular strategy. One strategy is not necessarily better than another. It depends on the student and the numbers. As students engage in mathematics with their class, strategies will naturally evolve. If your child uses the standard algorithm, please ask him/her to use another strategy as well. As I was looking for other ways to talk about homework, I read Van De Walle’s Student Centered Mathematics and his “Ask-before-tell” policy resonated with me. It was clear, concise and memorable! I thought a math homework bookmark would be a great tool for parents at our next meeting. 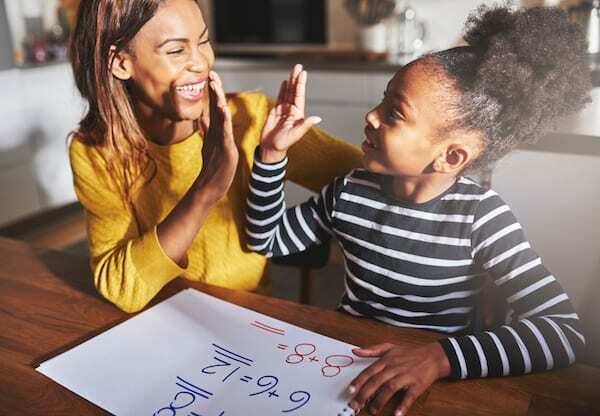 Questions for you (or a tutor or after-school teacher) to support your child with math homework. What words are confusing? What words did you understand? Can you make a drawing or chart to help you think about the problem? How did you start? What did you do next? Does your answer make sense? How do you know? It’s okay to send in incorrect homework. That is important feedback for the teacher. Can you write a note to your teacher? 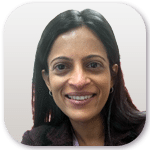 Deepa Bharath is a Professional Learning Consultant for Math Solutions. Deepa collaborates with the Director of Professional Learning, fellow consultants, and district site coordinators, so that teachers’ professional development courses and experiences meet the needs of the school, the teachers, and the district. She holds a Master of Science in Education from Purdue University, and is currently working towards a Master of Science, Leadership in Math Education.